Well…. I think animals in difficult social situations are funny. Dangit son! how many times have I told you to wash up before you go out to play. You don’t make fun of a kids weight during these emotional situations. They usually end up running off and crying, or ripping your head off in frustration. did he murder her parent’s? 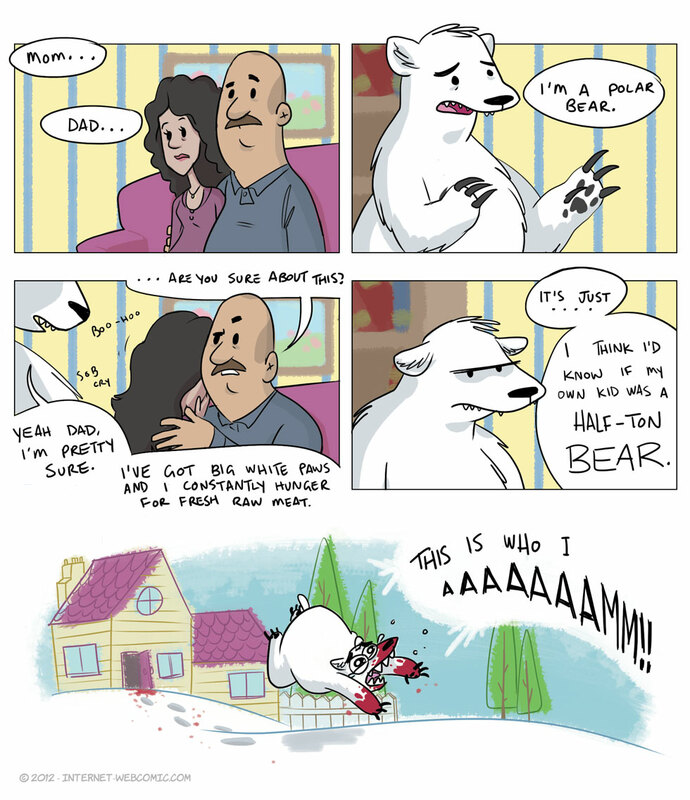 I’d pay for a shirt with the bear from the last frame and “THIS IS WHO I AM!” on it. Just sayin’! A bear is just a man who made a choice. Oh man sorry that meme is from 2009. Oh well.